Earn $38.22 in Rewards credit (3822 points) What's This? 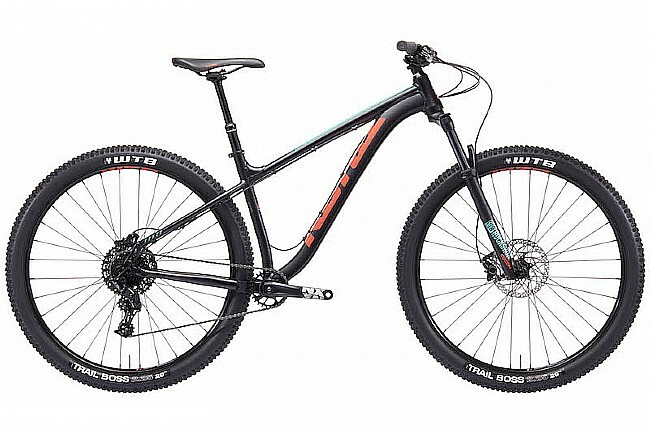 From biking to work via gravel paths and alleyways to getting shreddy in the bike park, the Kona Bicycle's 2019 Honzo 29" Mtn Bike inspires fun. A 120mm RockShox Recon fork, SRAM NX 11 speed drivetrain, and Shimano hydraulic disc brakes deliver the perfect blend of fun and fast. Fork: RockShox Recon RL Solo Air 120mm Tapered 110mm Spacing. Crankset: SRAM NX; 28t X-Sync Steel. Bottom Bracket: SRAM Powerspline 73mm. Cassette: SRAM PG1130 11-42t 11spd. Brakeset: Shimano Hydraulic, Shimano RT30 180mm (centerlock). Seatpost: Trans-X Dropper Internal 31.6mm. Wheelset: WTB ST i29 29” TCS rims. Rims: WTB ST i29 29” TCS rims. Hubs: Shimano; 110x15mm (centerlock) front, 148x12mm (centerlock) rear. Axles: 110x15mm (centerlock) front, 148x12mm (centerlock) rear.. Tires: WTB Trail Boss Comp 29x2.25". Manufacturer Warranty: 1 year limited on complete bicycle; lifetime limited on frame.